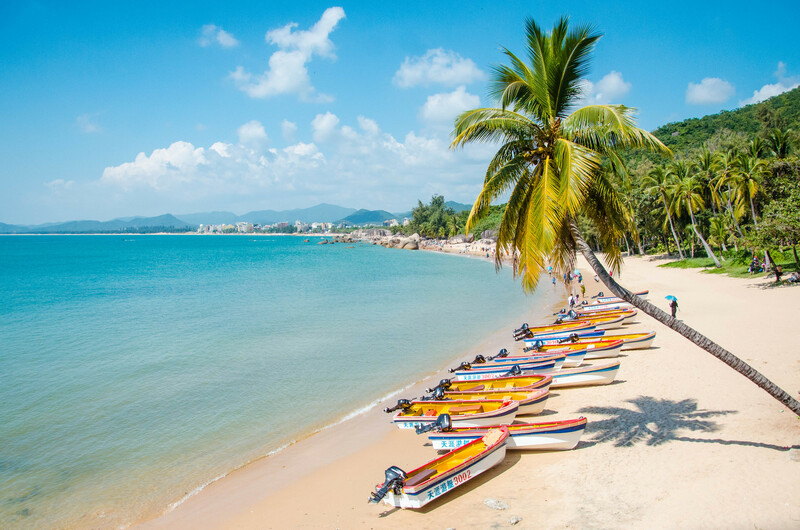 The Hainan Archipelago of China enjoys the best tropical-island type of climate which attracts millions of tourists throughout the year. 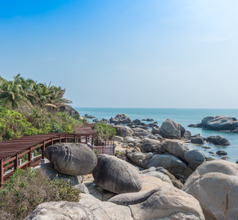 Sanya is a charming island-city which lies in the southernmost end of this archipelago. 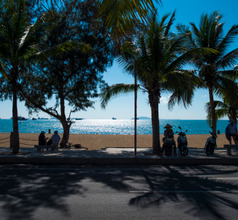 Although not as well-known as Haikou Island, Sanya Island-City also has its fair share of inbound tourists from mainland China as well from other parts of the world. 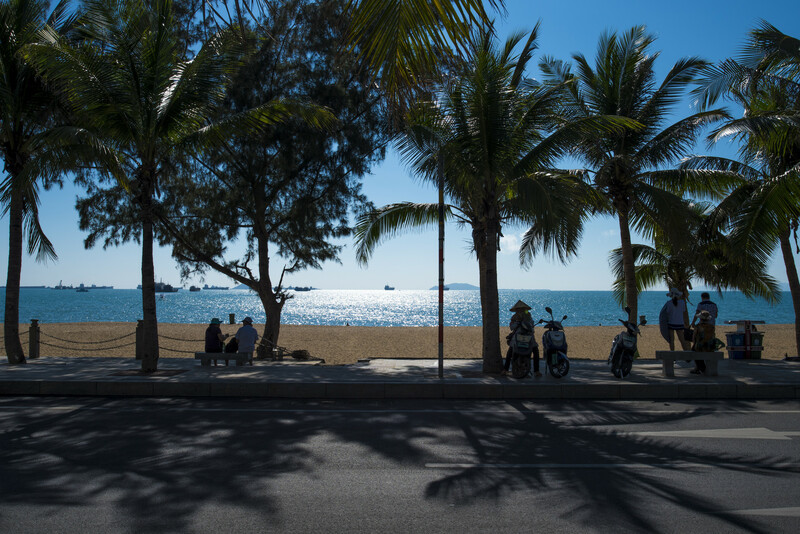 With sandy beaches, golf courses, and spas, the city of Sanya is meant for a leisurely tropical island vacation rather than a hectic sightseeing holiday. 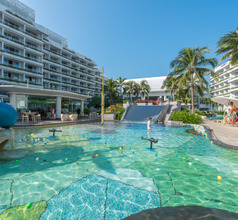 Yalong Bay is famous for its upscale beach resorts and marine sports facilities. 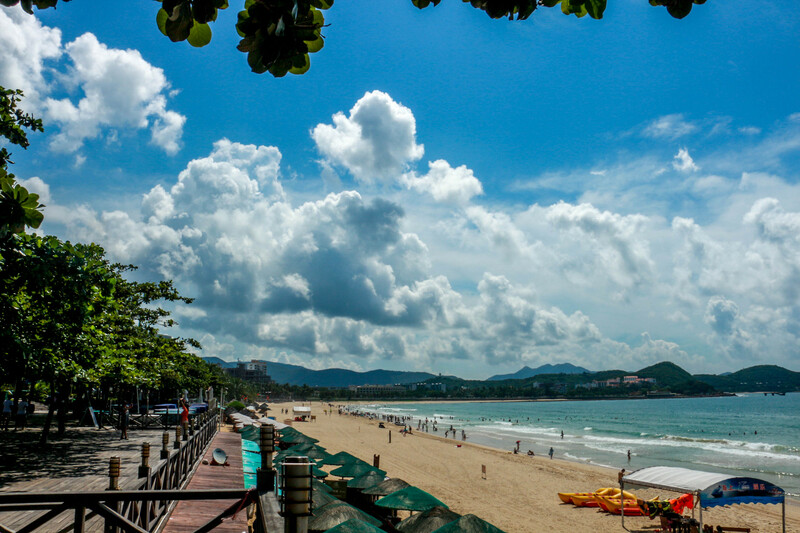 Sanya is also the nearest tourist destination to visit the beautiful coral reefs off the coastline of Wuzhizhou Island, where scuba diving and snorkeling are the favorite activities of tourists. 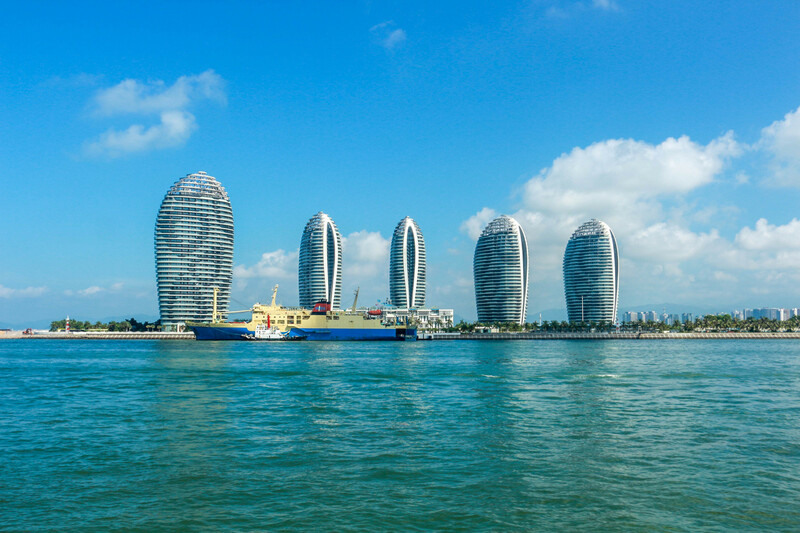 The topography of Sanya is similar to that of Haikou Island. Besides its numerous beautiful sandy beaches, it also has mountains and rivers in the middle of the island, making it a true tropical paradise! 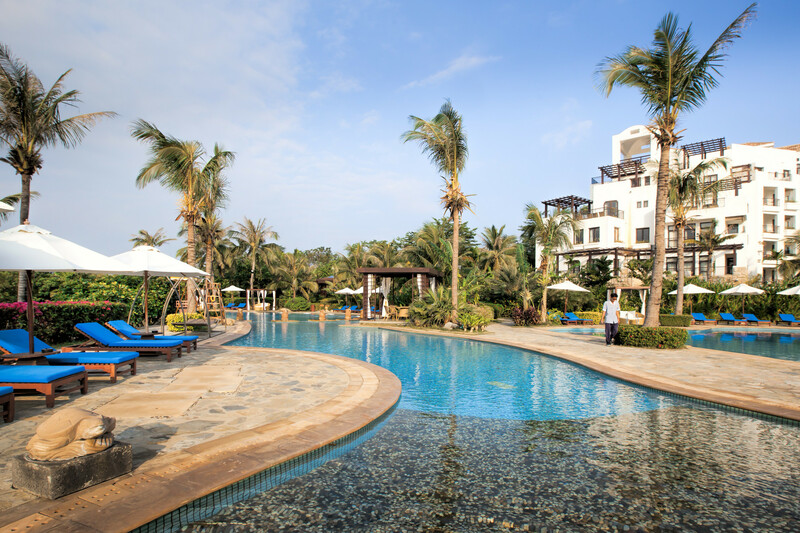 Sanya island-city is a breathtakingly beautiful blend of the old-style culture and ultra-modern tourist facilities. Although it was built in 1998, the Nanshan Temple is an awesome landmark on the island. Just outside the main temple is a 108-meters tall bronze statue of Guanyin, the Goddess of Mercy (the only female form of the Buddha) on a seaside platform. The architecture of the temple is of the old style there is a modern trolley-car service to go up to the temple from the beach. 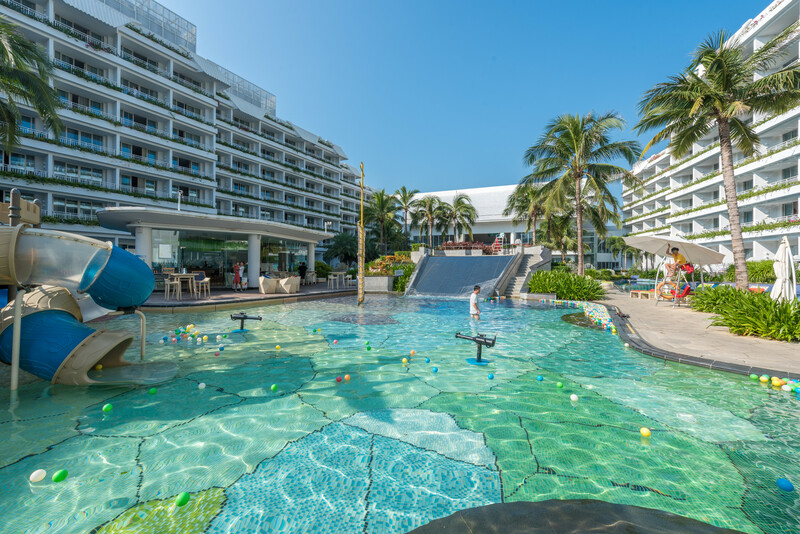 Sanya Island has several world class golf courses which are suitable for beginners and several demanding golf courses for more experienced players. International tournaments are hosted frequently on these courses. Many of the courses are part of the golf club fraternity and have their own resorts near the links. Whether one is a member of one of these clubs or is using the other links, guests interested in golfing are offered weekly packages for using the links every day. After a day of golfing under the tropical sun, one can indulge in some relaxing therapeutic massages at the numerous spas. Sanya has innumerable spas and massage centers to suit different budgets. A number of the beach resorts have their own in-house spas too. 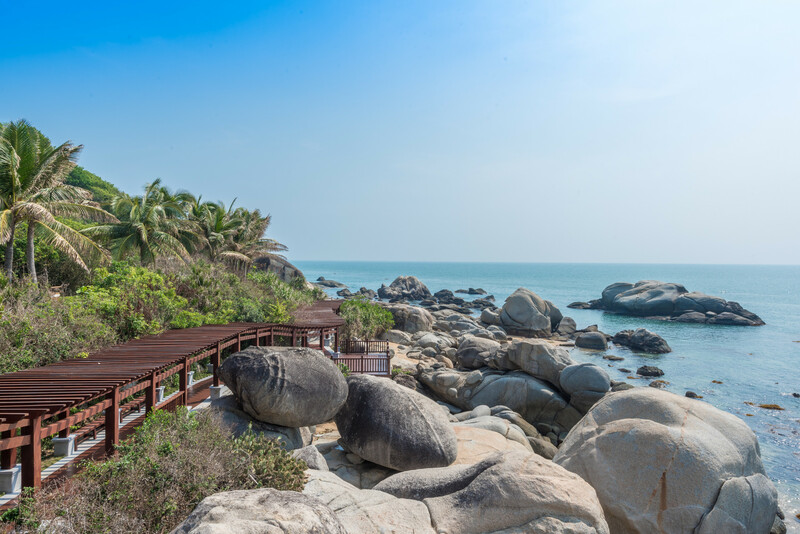 Whether one chooses the hotel spa or an external one on the island, a combination of Sanya’s sun and spas are the best way to relax and get rid of the city blues. Of course, the spa sessions have to be booked in advance so that one can choose the best time slot. 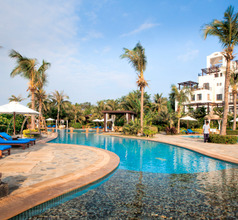 Being an island, Sanya City is a plethora of resorts and hotels on its various beaches. One can choose from the upscale ocean-view resorts and spas, luxury suites, and 5-star boutique hotels when selecting suitable accommodation on the island. For those looking for mid-range or cheap accommodation, there are several ocean-view serviced apartments, 2, 3, or 4-star hotels or inns. The hillock in the center of the island also has a wonderful resort called the Yalong Bay Tropical Paradise Forest Park which consists of 5-star luxury hillside villas. 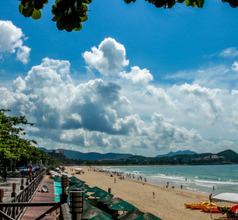 The most popular tourist spot on Sanya City (island) is the Dadong Sea. This area is a wonderful balance between modern facilities and natural beauty. One can spend the entire day relaxing on the beach loungers or sit all day at one of the beach cafes sipping cool drinks. There are small souvenir shops to along the bay. There is a small trail that leads uphill on the western edge of the island. At the top of the trail, one can get a breathtaking panoramic view of the island and the bay area. The area which is called Sea Turtles 911 is a sea turtle conservation area which is run by an NGO. They offer many educational programs where volunteers are permitted to help in their conservation endeavor. The Nanwan Monkey Island is another tourist attraction that one can experience while on a holiday on Sanya Island City. If the train-and-cab journey to see the place seems too tedious, then there is a taxi service to the site. Children like to visit the Monkey Island because there is a show put on by monkeys, bears, ponies, etc. for the benefit of tourists. 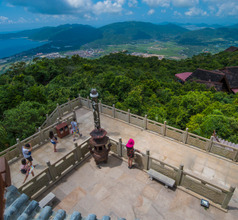 The Luhuitou Park (or Deer Looks Back Park) is located on top of a mountain in Sanya City. It is a very well-known tourist attraction on the island because the summit provides a magnificent panoramic view of the island and its bays. 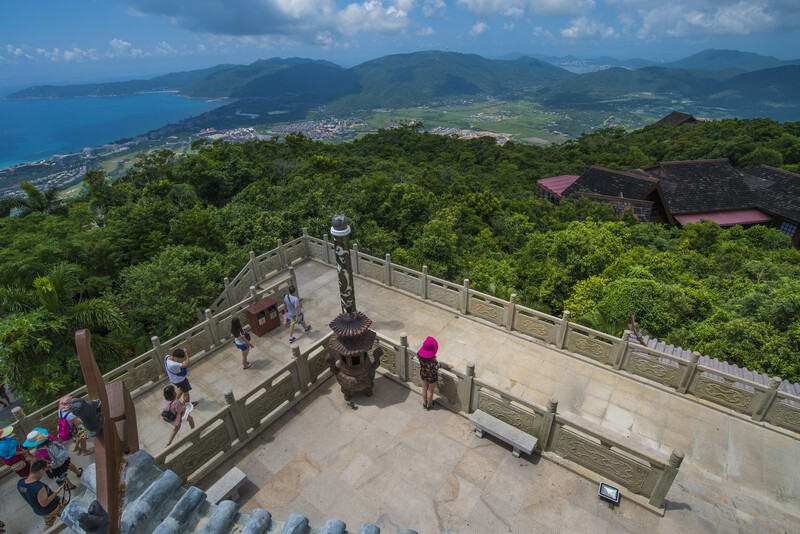 It is the tallest mountain on Sanya Island. This scenic spot gets its name from the statue at the summit which consists of a deer looking backward, with a Li girl and a Li boy standing on its either side. 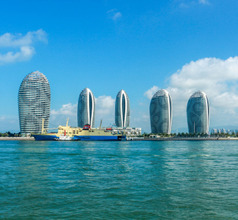 There are several other popular tourist attractions in and around Sanya City. 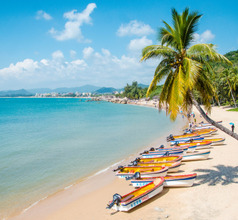 Some of the enjoyable activities one can indulge in are sunbathing on the tropical paradise of Xisha Archipelago, hiking along the Perfume Bay, snacking, buying handmade souvenirs, and taking selfies in traditional ethnic costumes in the Betel Nut Ethnic Minorities Park (of the Miao and Li ethnic minority groups). Sanya Phoenix International Airport is located 15 kms from downtown Sanya and has separate domestic and international terminals with no internal link. Most local airports are served, along with international flights to Russia, East and South East Asia, delivered by majority of the airlines. Taxi takes half hour to reach downtown (@ RMB30+). Airport shuttle works per flight schedule and costs RMB15. 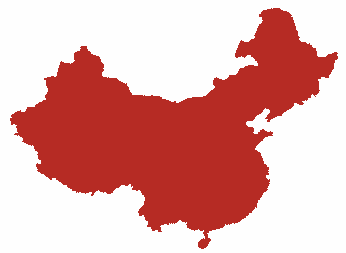 Public buses cost RMB5, go all across town and are available till 23:00. The island of Sanya is a treat where meals are concerned. The local delicacies are a great mix of Cantonese, Fujian (Hokkien Cuisine), and Southeast Asian meals and are delicious. Although it is an island, the food is not restricted to seafood. Their local specialties include the Wenchang chicken, dried seafood, Dongshan lamb, Jaiji duck, meat hotpot, Hele crab, Li-style Shanlan rice cooked in bamboo tubes, etc. The recipe of the Wenchang chicken was created in the 14th century and has remained the same even today!